The FDW75C2NAX is an IP ready 7dome outdoor housing w/ wall mount from Videolarm which is designed to provide high quality operation when used in a number of different surveillance installations. 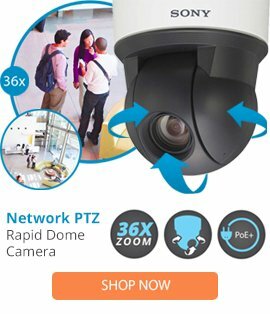 The FDW75C2NAX dome housing comes with high network camera compatibility with most brand names, a user friendly installation, an OptiClear„¢ polycarbonate viewing window construction, surge protection, as well as a thermostatically controlled heater. The FDW75C2NAX camera housing also features a universal mounting plate, a wireless option, a durable plastic top w/ UV protection, an integral pan/tilt, plus a tinted dome, and a blower. This camera housing can be used in a number of changing temperature ranges, and can easily deliver high operation in most locations to suit many different surveillance setups.